After a disappointing journey down on Earth, Adelaide meets Amandine to take her on a short trip. Since she likes water and lives by a river, what can be more attracting but the sea? 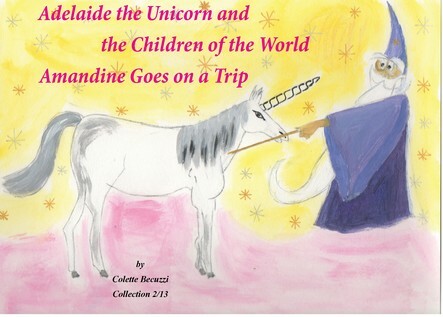 The second in a series of thirteen adventures, Adelaide the Unicorn and the Children of the World: Amandine Goes on a Trip is also a short encounter with the world of fairies.